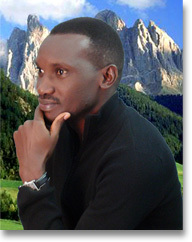 Bob Natifu is a journalist and project manager who was born in 1979 in Mbale district in Eastern Uganda. He is bilingual in Lumasaba and English. Lumasaba, also known as Masaba, is a Bantu language spoken by about one and a half million people. Since his graduation in journalism in 2003, from the Uganda Christian University, Mukono, Bob Natifu has published articles in Uganda’s leading dailies, The New Vision and The Daily Monitor, as well as on websites such as All Africa Global Media Silobreaker news.com. Significant pieces include: ‘Why should we lease land at give away prices?’ (The New Vision, June 112009); ‘ How Uganda can Become Africa’s food basket’ (October 13, 2008, Silobreaker news); and ‘Gender Based Violence’ (The New Vision, December 1, 2005). He is currently working for a VSO partner Organisation – Pakistan Welfare Society as a fundraising and management advisor based in southern Punjab, Pakistan.